GUARANTEED RELIEF FOR EXTREMELY DRY, CRACKED HANDS. 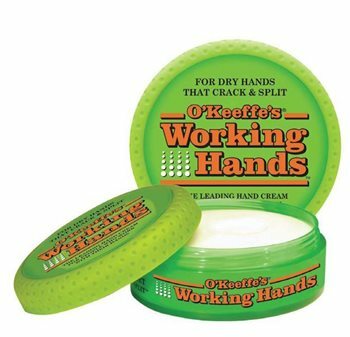 O’Keeffe’s Working Hands is a unique formula of moisturising ingredients guaranteed to improve dry skin. Parched, barren earth needs water. The same goes for rough, dry skin. The skin’s natural barrier can be damaged. This damage to the skin barrier leads to increased water loss, which creates dry and cracked skin. O’Keeffe’s Working Hands not only protects skin from further water loss, but also draws moisture into the skin. The protective barrier seals in that moisture, reducing the rate of evaporation. Apply a small dab of cream as needed throughout the day. Apply after hand washing, after bathing and at bedtime as these are the most effective times for moisturising extremely dry skin. Take care of your most valuable tools - your hands.